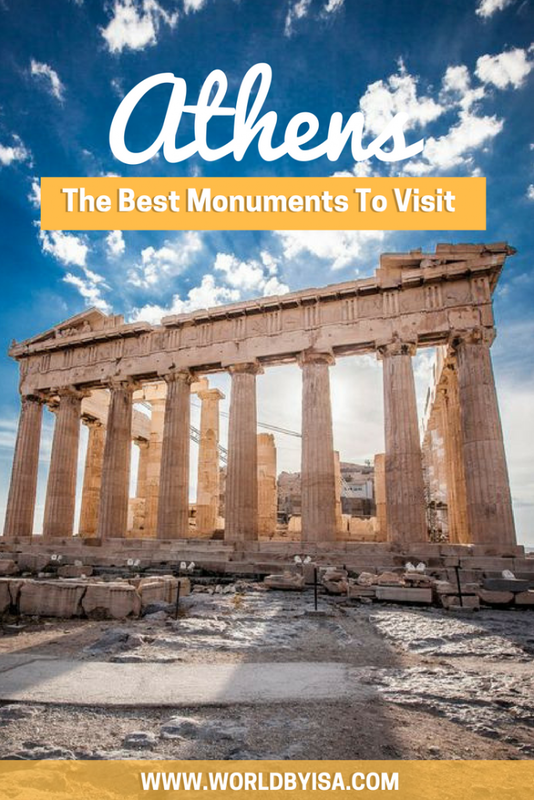 Being the cradle of one of the oldest civilization in the world, Athens should be on the list of anybody who loves history and mythology. 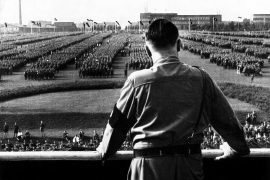 But not only that, the history of Athens, is the history of theater, politics, philosophy, sociology and so many other sciences that are, or should be, part of our society’s common knowledge. The timeline of the Athenian people goes back to the 11th and 7th millennium BC, making Athens one of the oldest cities in the world, and since then, Athens has pathing its way to becoming one of the biggest and strongest Empire the world has ever seen, until its fall during the Peloponnesian War between 431 and 404 BC. Despite being defeated, centuries later, we still live in Athenian’s culture and politics influences and many of our intellectual achievements are thanks to them. 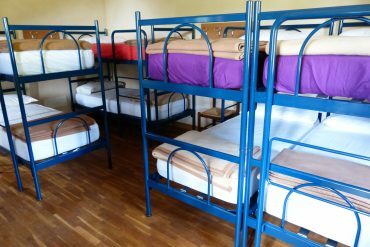 If you are going to Athens but don’t know where to stay, check the best areas here. When I was in the city, I had the chance to visit the best geek monuments in Athens with Alternative Athens and learn more about it during one of their tours. 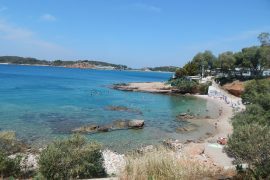 Alternative Athens offers different tours and as the name says, they are not so conventional. I went for the Mythological tour, which I loved! 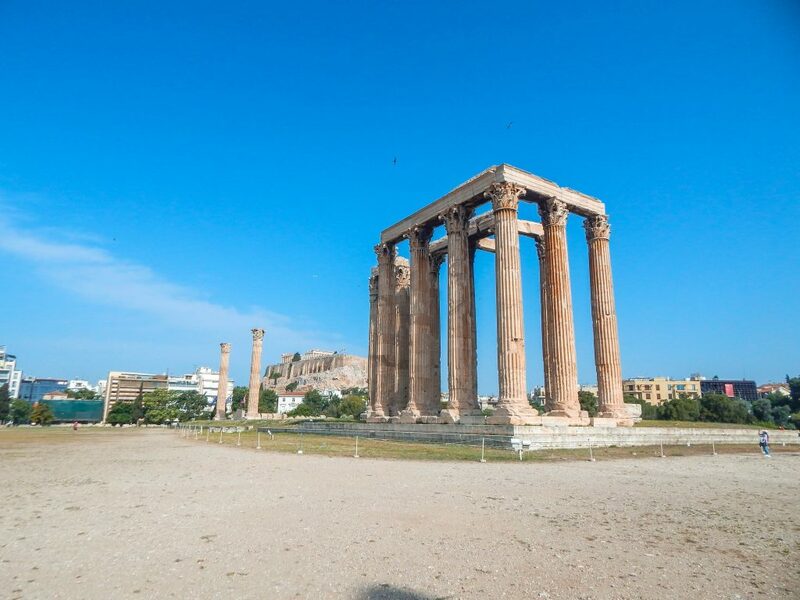 The tour began in the Temple of Olympian Zeus, the unofficial entrance of ancient Athens and where we listened to our first of many tales of the Greek Mythology. As we made our way through the ruins, we learned about different myths and how they are linked to the real life of ancient Athenians, their society, Heros, and Gods. The tour ended in the Kerameikos cemetery, where we learned about the fall of this great and legendary Empire that was Athens. After listening to part of the speech of Pericles, known as the Funeral Oration, it makes us reflect on everything we learned during the tour, and how so many parts of this history are still so present in our lives. Listening to the myths as you look to the ancient Greek buildings completely immerses you in the history, making everything more tangible. Honestly, for me, this tour was a life experience. 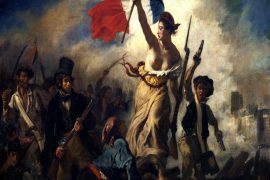 To visit any of the monuments, it is necessary to buy a ticket, buying the combo ticket, which I paid €30 (I’m writing this in 2018) gives you entrance to all main ruins and museum. Most of the ruins we visited with Alternative Athens during our Mythological tour, but there are others included in the ticket that can be visited after the tour on your own. Dedicated to Zeus the head of the Olympian gods, the construction of the temple began in 6th century BC, but was only concluded around 638 years later in the 2nd century AD by the Roman Emperor Hadrian. With 104 gigantic columns, this was the biggest temple in Greece and included one of the biggest cult statues in the world! Nowadays, however, after barbaric attacks and earthquakes, the temple is partially destroyed, and only sixteen of its gigantic columns remain standing. The entrance for the temple used to be marked by the Hadrian’s Arch, the arch was built to celebrate the arrival of the Roman Emperor Hadrian. Part of the arch survived during the years and can still be seen nowadays. The word acropolis means something like High City or City Built in a High Area in the Greek language. Many cities in ancient Greece had an acropolis but the most famous and iconic one is the Acropolis of Athens, whose complex and artistic architecture still intrigues us nowadays. After the victory over the Persians and the establishment of Democracy, Athens became one of the strongest city-states in the world. 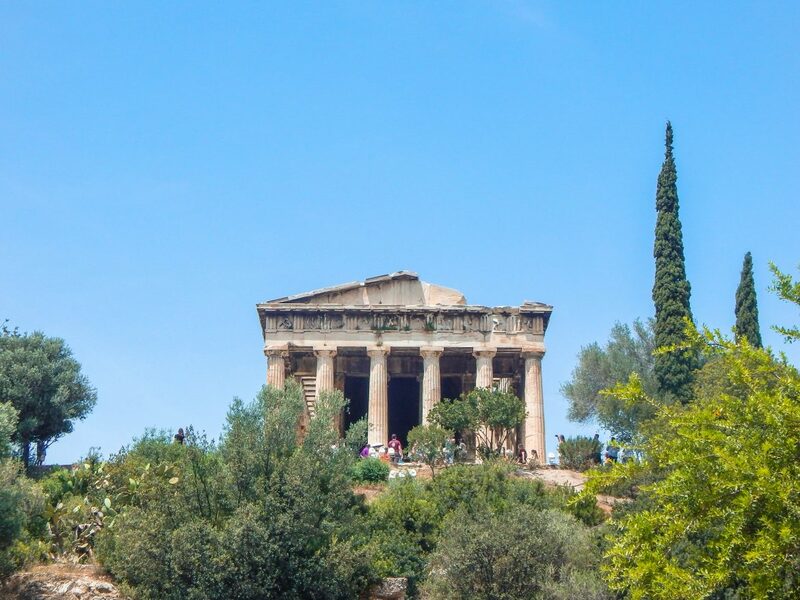 With so many artistic groups flourishing in that time, the then Athenian statesman Pericles, with help of the sculptor Pheidias, started to turn the simple rocky hill into one of the most important monuments we ever had. 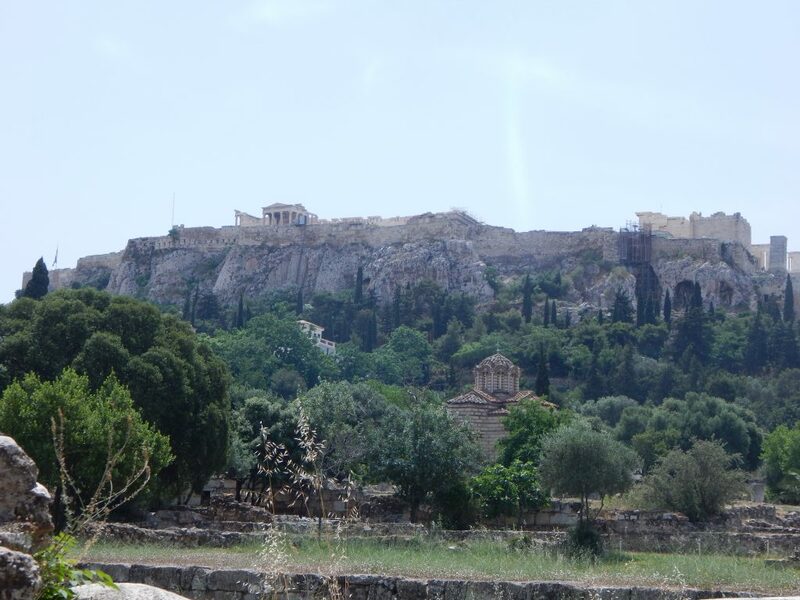 Different than most people think, although the Acropolis is a citadel, it was not an area where people lived, it was actually a political, religious and intellectual area. Its main buildings include the Parthenon, the Erechtheon, the Propylaea, and the Temple of Athena Nike. In ancient Greece, Agora used to be a public space, where people used to gather to meet each other, do groceries and other activities of normal daily life. The ancient Agora of Athens counts with many monuments, temples, and buildings. The most notable ones are definitely the Stoa of Attalos that was completely rebuilt in 1956 and is now a museum that exhibits a collection related to the Athenian democracy, and the temple of Hephaestus, the most well-preserved temple of ancient Greece, that remains largely as it was first built. The preservation of the temple happened due to its conversion into a Greek Orthodox church in the 7th century until 1834. Built in the same format as a Roman Forum, the Hadrian’s Library, located in Monastikiri Square used to have a big room were rolls of papyrus (the ancient version of books) were kept, next to this room were the reading rooms while the corners were lecture halls. Later, during Byzantine times, three churches were built in the same site, one of which, being the first cathedral of Athens. Later, a fourth church was built against the north facade, but only the ruins of the first three churches remain preserved nowadays. One of the ancient buildings that are still in usage nowadays thanks to restoration. Built in the site of an ancient Greek stadium dated back to 329 BC, the Panathenaic Stadium is deeply connected to the tradition of the Olympic Flame and the Olympic Games. The stadium was completely rebuilt in its original form and was put in use again in the first International Olympic Games in 1896. It is one of the biggest monuments in Athens and the only stadium made of marble in the world. It has a capacity for more than 50,000 people. Originally divided into two sections, the Inner Kerameikos that used to be the potters’ quarter within the city, and the Outer Kerameikos, located outside the city wall, that used to be the public graveyard. 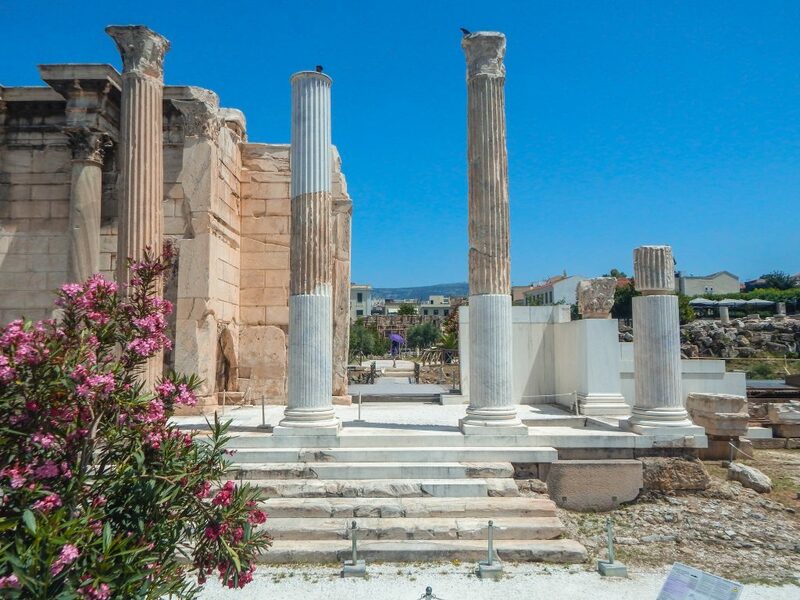 The area became famous after Pericles delivered his funeral oration in 431 BC. After the Peloponnesian War, many civilians belonging to rich families and warriors were buried in this cemetery and their graves can still be seen nowadays. Kerameikos now counts with a museum that displays the biggest collection of burial-related artifacts of entire Greece, that goes from small toys and jewelry to large-scale marble sculpture that used to be placed in Athenians graves. 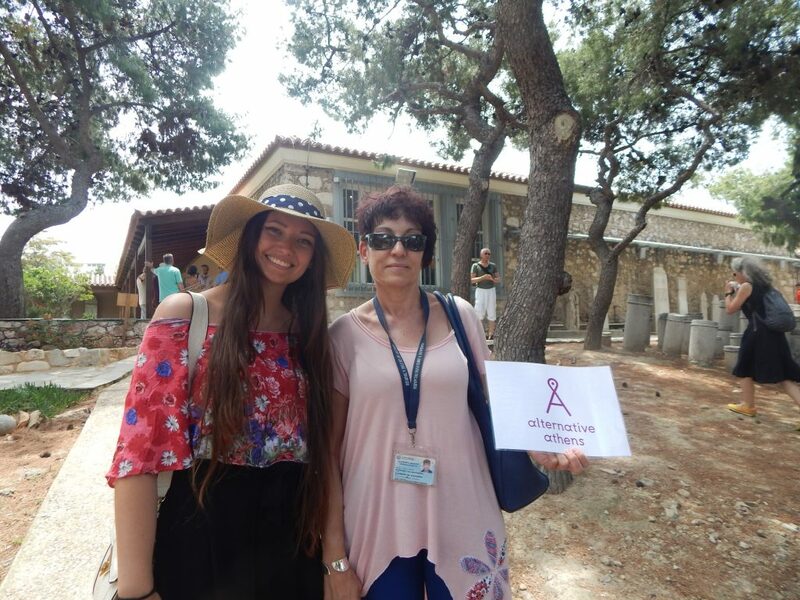 Thanks to Alternative Athens for giving me the opportunity to experience this amazing tour and for gifting me two tickets for the Mythological tour. As always, all opinions are my own.